BMW exports SUVs from its plant Spartanburg plant, but could switch to making sedans there instead. 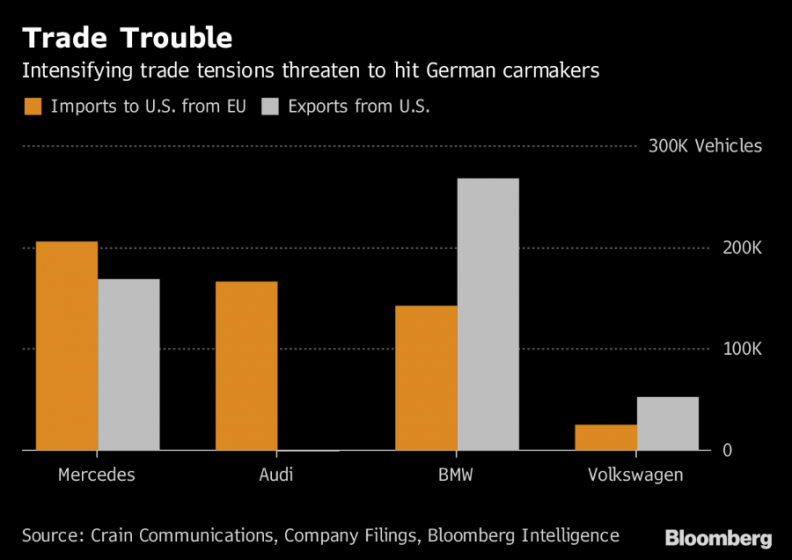 MUNICH -- BMW and Mercedes-Benz maker Daimler face a double whammy of trade risks in an intensifying spat between the European Union and the U.S. Both automakers ship significant numbers of vehicles from the EU, and also export from U.S. plants. U.S. president Donald Trump renewed threats to impose tariffs on auto imports, hitting out at the bloc’s standard 10 percent import tariff on cars -- higher than a 2.5 percent American duty on auto imports and 25 percent on SUVs. With Trump extending tariffs on steel and aluminum imports to include the EU on June 1, and a heated meeting of G7 leaders in Canada over the weekend, Germany said Monday that retaliatory action on U.S. products could be ready by July 1. As a result, German automakers have to worry not only about the potential for higher costs when they ship cars to the U.S., but also any retaliatory measures that affect the cars they produce in North America and send to the EU. The manufacturers are already rethinking the way they produce in the U.S. BMW, which exports SUVs made at its plant Spartanburg plant in South Carolina, said the company could switch to making sedans there instead in the case of tariffs, purchasing chief Markus Duesmann told German magazine Automobilwoche, a sister publication of Automotive News Europe. Doing so would be “complex, but doable,” Duesmann said in the interview. BMW is the leading U.S. car exporter by value, shipping vehicles worth some $10 billion last year. 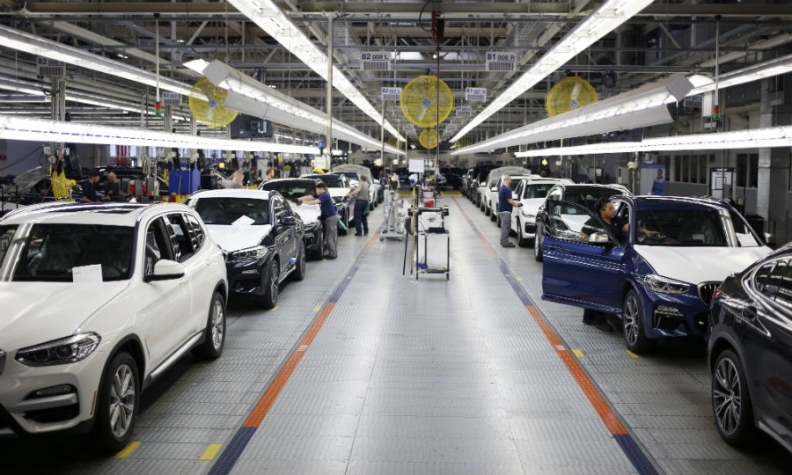 Mercedes produces the GLE, GLS and GLE Coupe SUVs and C-class sedans at its Tuscaloosa plant in Alabama, while Audi in 2016 opened a plant in Mexico. The consequences of auto tariffs would be “significant” as automakers sell regionally, but compete globally, Joe Hinrichs, Ford Motor’s head of manufacturing, said in speech reported by the Financial Times.